Wi-Fi passwords are the mostly used security protocol on most of the home wireless networks around the world. No matter a home network or business, most people will certainly go with passwords for network protection than choosing some other methods like MAC filtering or non-broadcasting SSID. 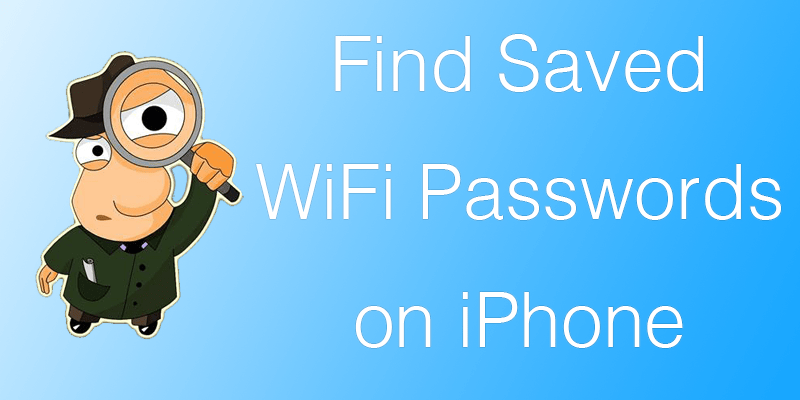 Read on to learn how to view saved WiFi passwords on iPhone or iPad. To ensure you don’t get them, of course. The idea over this security issue is – if you are on your own Wi-Fi network, you should already know your password. At least if you have access, you can get into the router’s control panel and retrieve the password from there. However, if you are on someone else’s password and they log you into their Wi-Fi by them taking your phone into their hands, and typing in their password then they did obviously want to not let you know. iPhone is just respecting that privacy and there’s nothing wrong about it. However, at times people often forget their own Wi-Fi passwords. For legitimate issues, exploring through the iPhone might be necessary to retrieve a password. Since there’s no on-system procedure that can get this job done, we have to seek third party methods. There are few methods, like – by using either a jailbroken iPhone, or the other one is to use the Keychain app on a Mac computer. However, the latter needs the Mac to be connected to the same Wi-Fi network. Note that if you have access to the router’s control panel, you don’t need going through all these trouble. There are plenty of apps on the Cydia store that can get you an app to find the Wi-Fi password. Unfortunately, there would be none on Apple’s own App Store because that’s directly contradictory to their values – the exact same reason why you can’t see your Wi-Fi password on your device. However, if you prefer using an app to store all your Wi-Fi passwords into one centralized note, then you could use an app like 1Password. Not just Wi-Fi but any password could be stored with all necessary details and you will not mix up one password with another this way. 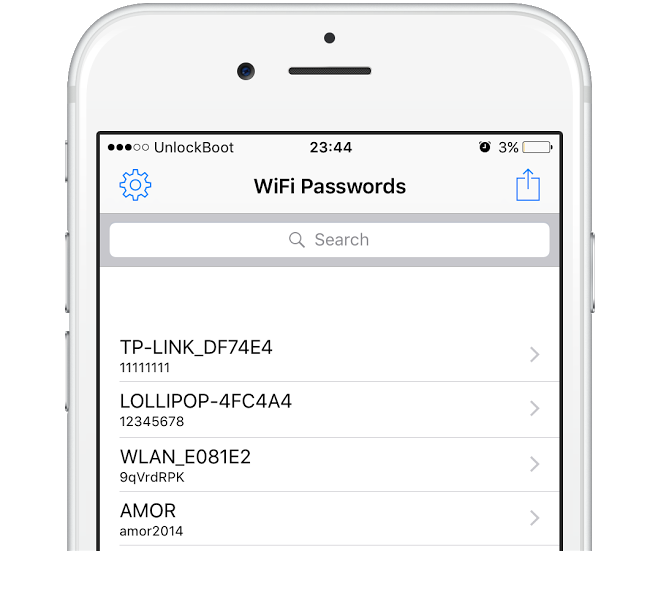 On Jailbroken iPhones, download the app WiFi Passwords App using Cydia or any other supported method. Once you tap the app open, the passwords for the saved Wi-Fi networks will show up. Keychain app stores passwords that includes Wi-Fi passwords as well. 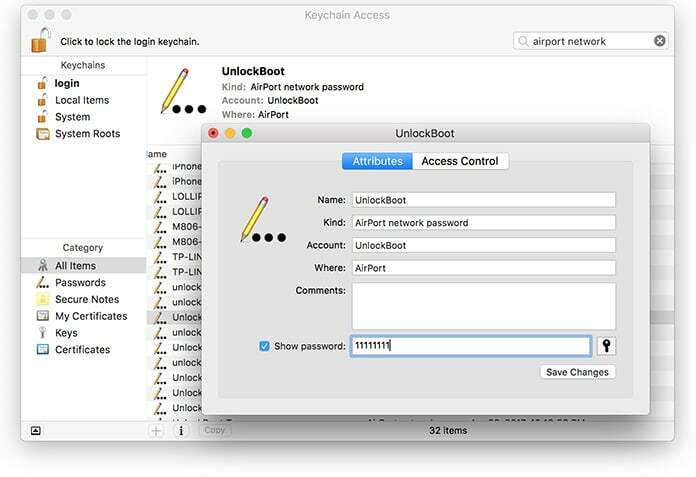 If you are connected to the same Wi-Fi on a Mac, then retrieve the password from the Keychain app window. Now sync Keychain with your iCloud account and do the same on your iPhone or other iOS 11 or above running device; the password will be synced to other devices as well; and could be retrieved. Conclusion: While retrieving passwords, it is always suggested to go by some ethics. Not sneaking into someone else’s passwords is one of the best ways to respect them.